People often tell me that they are envious of our adventures. We try and get away every six weeks and they are usually short camping trips. I decided to put the call out to all my friends and let them know that we were camping at Lake Brockman. Any one was welcome to join us and to my surprise we had 11 families take up the offer. It was a wonderful getaway for everyone and most of all I loved seeing the children enjoying nature. The great thing about Lake Brockman Tourist Park is that it has something for everyone. If you are a seasoned camper and have all the supplies you can camp in an un-powered or powered site. For those who are not set up for camping they can stay in a cabin and still enjoy the surroundings of the state forest and fresh water dam. Located only 137 kilometres from Perth via the South West Highway it makes for a quick getaway. The camp ground is located on the Louge Brook Dam Road, 15 kilometres from Harvey and 23 kilometres from Waroona. Set up your camp nestled among the trees in close proximity to the lake/dam. The camp ground is split into two areas, Lake Brockman Camp Sites and Logue Brook Camp Sites. Lake Brockman Camp Site – This part of the camp is similar to a caravan park as it has all the facilities including a camp kitchen, laundry, cafe, playground and ablution blocks. There are powered, un-powered sites and all the cabins are located in this area. All the sites have plenty of shade and close proximity to the lake. Louge Brook Camp Sites – This is a new camping area and there are only un-powered sites however you get a better view of the lake from this area. The toilets are long drop and there are bbq areas available. Shower/Toilets – The toilets and showers are small but they are clean and functional. The showers are hot which is nice when you are located in the bush. Camp Kitchen – It is a large area with gas BBQ’s, fridge, tables, table tennis and a television but who needs that when you are camping! The best thing about camping is it is the only time Dixie does the dishes!! Shop/Cafe – No need to worry about missing out on your coffee as they brew a pretty good cup. It is a large cafe with a stunning view from the balcony over the dam. They are open daily and you can grab a meal or a snack. There is also a small shop if you have forgotten something. Drinking Water – You are required to bring your own drinking water. Playground – There is a small playground which will keep the children entertained for hours! Lake Brockman is also referred to as Logue Brook Dam and it can get a bit confusing. Logue Brook is the dam wall and the brook while the formed lake is called Brockman. The dam is fresh water, crystal clear and perfect for swimming, water skiing, kayaking and fishing. You can fish for trout all year round and catch marron in season. We spent two nights camping by the dam and it did not disappoint. The weather was a little overcast on the first day so we decided this was the perfect time to do some 4wding. We didn’t really know where we were going so we just headed out to see what we could find. Drove over the bridge onto the other side of the dam and explored. Hit the tracks and there were lots of challenging sections with large muddy holes. After having some fun in the mud we headed to Hoffman Mill which is another camp area. The mill is no longer in operation but it is a beautiful spot to bush walk and the children loved playing in the creek. The weather turned it on for our second day and we spent the entire day enjoying the dam. Relaxed under the a gazebo by the waters edge and kayaked over the blue water. Everyone had fun on the boat, breathing in fresh air and feeling the wind in your hair . The adventurous had a turn on the ski biscuit, knee boarding, water skiing while others simply soaking up the suns rays on the boat. Like all good things they must come to an end and sadly it was time to go home. I hope to get back there soon to do some bush walking, mountain bike riding, oh and maybe some time to put my feet up and relax! Would be the perfect spot to string a hammock to some trees. I can see myself there now with a book and maybe a cheeky glass of wine in hand, swinging in my hammock! If you fancy staying here up to date information on Lake Brockman Tourist Park can be found here. How fun! Although we love camping- just the two of us- it is extra special fun when others, (especially family) join us. I was worried about having so many families on the trip but it worked out really well. I look forward to reading about your camping trips in NZ! Mind you it will be too cold to camp over there!! 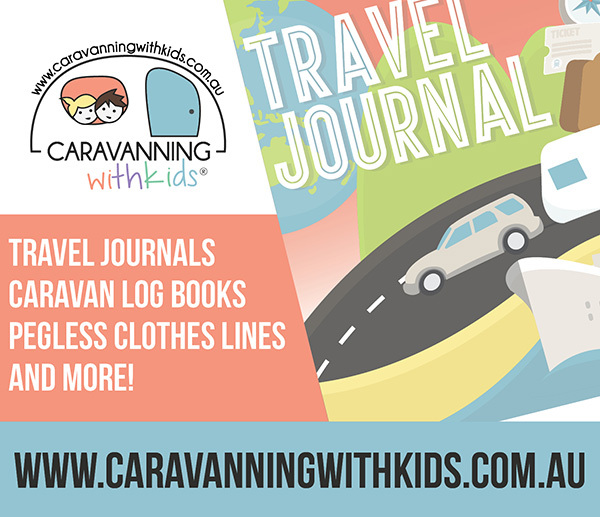 Looks fabulous , we found so many beautiful campsites (for our caravan) whilst road tripping in WA. There are lots of nice spots over here and I am slowly checking them out! Not a fan of camping. But it does look like a beautiful spot. Book yourself a cabin instead! So glad there were options for the non-campers too. I think this looked like a great time was had by all. Thanks for linking up for #lifethisweek 13/52 Next week: Daylight Saving is Over. We don’t have day light savings in the west. Not sure if that is a good thing or not. It is great going away regularly, except for all the washing when you get home! That looks like an amazing spot for camping! I also have a growing list of places to visit in WA! 11 families! That sounds like so much fun.